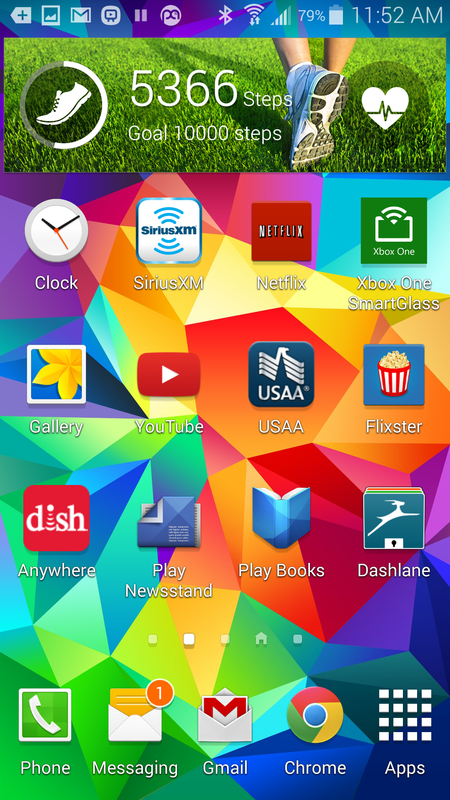 This will be brief, but I feel the need to talk about a few annoyances I’ve had with the Samsung Galaxy S5. All of my previous smartphones have been iPhones and I enjoyed them, but for whatever reason I decided to try out the Galaxy S5. It’s not a bad phone, I like the screen size, the fact that it’s waterproof and the SD card slot, yet there are some annoyances I don’t feel you should have to put up with. First of all when I have the charging port cover open and plugged in while I’m in the car and I’m trying to listen to music or a podcast via auxiliary I’m met with a major annoyance. As I’m driving the phone constantly pops up with a reminder that the charging port is open, and each time this happens it mutes the music. At the very least the notification pops every ten seconds and at most pops ever 3-4 seconds. Therefore it’s entirely impossible to listen to music while also charging the phone in the car. Secondly, when I have the phone in my pocket at work with it set to swipe to unlock it somehow constantly unlocks and moves apps and creates widgets all over the place. Not only that, but apps and games start opening on their own, music starts playing and I somehow send texts filled with gibberish or create reminders and notes filled with long strings of random text. You would assume that setting up a lock screen would prevent this from happening, and while it does it also creates another issue. With the phone set to a pin lock or even pattern lock I manage to pocket dial 911. I’ve pocket dialed 911 from work several times over the last week and keep getting return calls from the local police. I called them back and explained what happened, but I can’t seem to prevent the issue from continuing to happen. Issues like this are what’s going to drive me back to Apple. I’ve never had anything even remotely similar happen with an iPhone and I think overall Apple builds a better product. Android is just too ‘wonky’, weird and unreliable for me. I absolutely loved this song when I first heard it and I’m in love with it again after seeing the music video for it. It’s an incredibly heartwarming video that centers around two wonderful proposals, one of which being a lesbian proposal. Love is love, and love is beautiful. Enjoy! 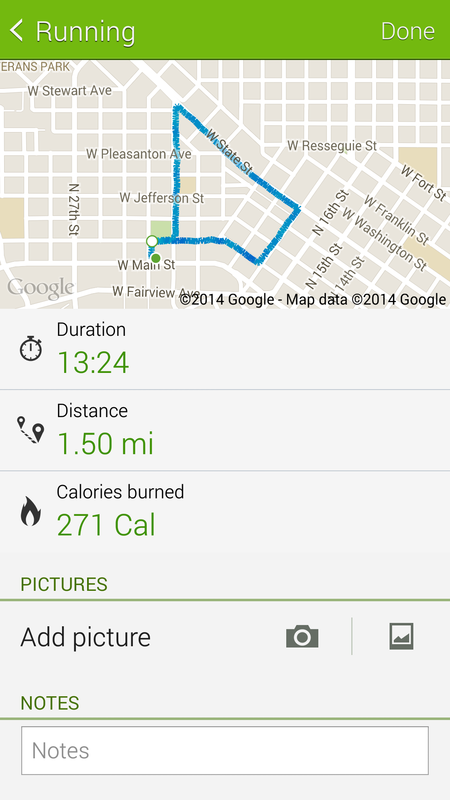 One of my favorite apps on my Samsung Galaxy S5 is Samsung’s S Health app. It has driven me to become more active and to be more aware of my daily physical activity and general health. 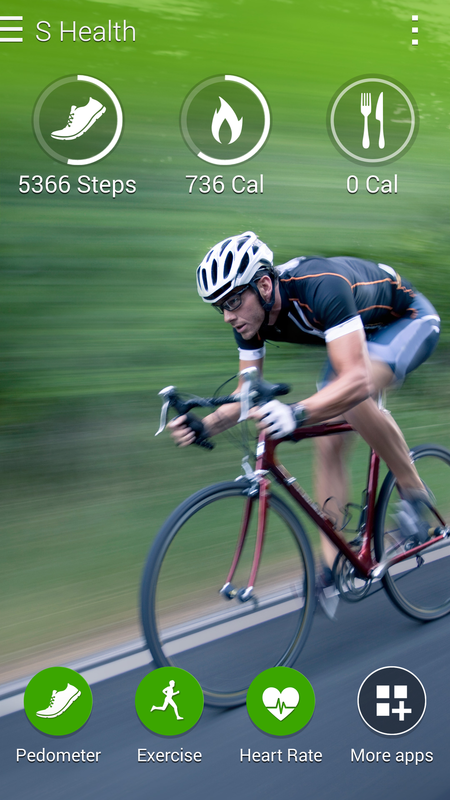 It can track your heartrate, daily walking, running, biking, food intake and more through add on apps you can download. 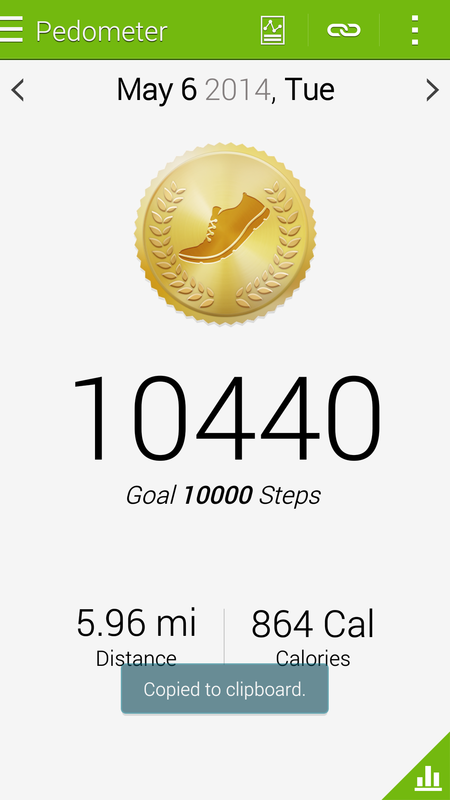 My favorite feature is the pedometer. It challenges you to take at least 10,000 steps a day in order to meet the widely recommended amount of weekly physical activity. I’ve found that during a night of work I tend to rack up between 5,000 and 6,500 steps on average and I’ve since challenged myself to add an additional 3,000-4,000 steps to my daily routine by going on walks before work, and walking to the store rather than driving. The pedometer made it easy for me to challenge myself to walk more and challenge myself to reach a higher and higher step count every day. I love being able to glance at the widget on my home screen to get a quick look at my daily progress. I’ve also been using the run tracker within S Health, and it’s functional but I still prefer the Nike + app for running. The diet tracker makes it easy to track what you eat in a day and it’ll help you to hold yourself more accountable for what you eat. Once you see exactly how that snack will affect your calorie total you’ll probably be more likely to swap it for something healthier like a fruit. S Health will challenge you to increase your daily activity in order to meet whatever goals you, or the app, set for you. The app is a simple way to become more active and hold yourself accountable for your health. Side Pocket was one of my favorite games on the NES. It had addicting music and the right amount of challenge to keep you trying to get further and get a higher score every time. I don’t think I’ve ever made it to the last round, though it’s never frustrated me to the point where I want to stop playing. To this day Side Pocket is still an enjoyable experience that I never get tired of. Extreme Rules last night became the second WWE PPV to be broadcast over the WWE Network (and from what I understand it was not carried by many satellite and cable providers in protest) so I watched most of it even though I haven’t been paying attention to a lot of wrestling lately (again I mostly like the idea of an independent network being used to distribute premium content). I have to say, for a PPV named Extreme Rules it was actually pretty tame. I remember the barbed wire and inferno matches of the attitude era, and it makes me wonder why they’ve retained an Extreme Rules concept in today’s PG WWE. There’s no blood, and ultra violence of the past. The most extreme moments of the night came courtesy of the SHIELD member who jumped from above one of the entrances to take out the Evolution, and the flaming table in the Kane vs. Daniel Bryan match. The main event match between Kane and Bryan took the action backstage and introduced a variety of weapons and even a forklift, but in the past this sequence of events would have featured an abundance of blood and gore. Without this it all felt tame, and quite boring. Even the flaming table was too tame. Moments before it even happened a crew member rushed into position with a fire extinguisher, and with gas cans in view under the ring you already knew what was about to happen. It would’ve worked better as a complete surprise, not a safety first, get everything right, PG rated stunt. Kane’s flaming table stunt failed to compare to the flaming tables of years past. That said, the WWE Network again worked without issue, and I watched using the new Xbox One app. The quality was great and the service worked as advertised. I might not have been impressed with the PPV, but I am still impressed by the WWE Network and I applaud their new business model that isn’t controlled by overpriced cable companies who charge $60 for a few hours of content.